Without pins and needles there wouldn't be any sewing. These two items have been helping seamstresses for centuries. Straight pins are used for holding fabric pieces together and also for attaching a pattern to the fabric. 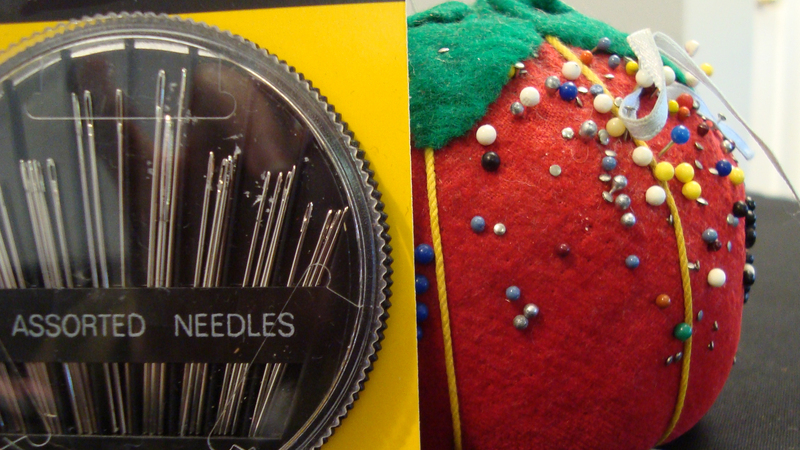 Needles are used for any type of hand sewing you should do in your project. You'll need both so be sure to stock them in your sewing box. 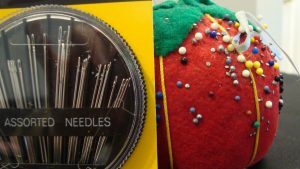 There are different kinds for different fabrics, but you'll typically use ball point straight pins and sharps sewing needles. So if you only have these, you'll be pretty well off on most projects. What are the different kinds of sewing machine needle needed for different kinds of fabric?